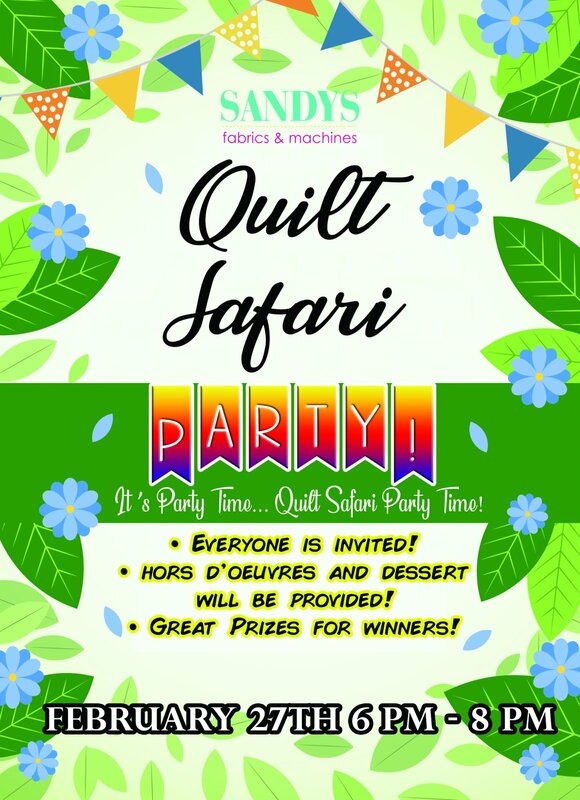 It’s Party Time….. Quilt Safari Party Time! Who is invited: Everyone whether you participated in Quilt Safari or not. Quilt Safari participants need to submit their finished quilt top, per the rules given out when you registered for Quilt Safari to be eligible for prizes. Quilt tops need to be submitted to the store no later than February 16th. Tops must be labeled with your name & phone number.